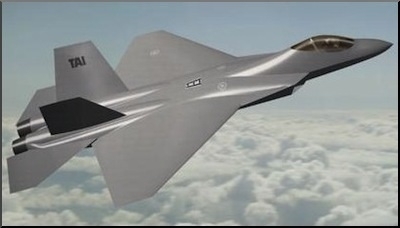 Turkey plans to buy around a hundred Lockheed Martin F-35 Joint Strike Fighters (JSF). As Turkey prepares to phase out its fleet of F-16 fighters by 2030 due to high upgrade, repair and maintenance costs, it faces challenging options to rebuild a solid fleet with deterrent firepower. "We need to think more creatively if we should avoid any aerial operational weaknesses in the next 20 years when we expect to be fighting a multitude of asymmetrical - and perhaps - conventional security threats," said one senior Air Force official. Turkey remains committed to the multinational Joint Strike Fighter (JSF) program, the most expensive ever weapons program with a lifetime price tag of $1.5 trillion. 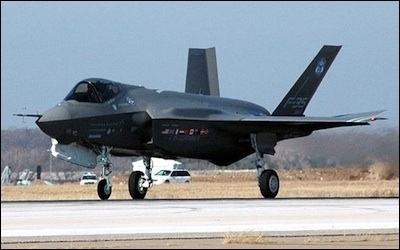 As part of the program, Turkey's top defense procurement panel, the Defense Industry Executive Committee, chaired by Prime Minister Ahmet Davutoğlu, ordered in early March the defense procurement agency, the Undersecretariat for Defense Industries (SSM), to place an order for eight more F-35 fighter aircraft. "The decision confirms Turkey's commitment to the program," said one defense official. But the JSF program is facing several problems which are annoying Turkey's defense and military officials. "We hope the future of the program goes smoother than its past," said one defense official. "For us the most important parameter is the delivery schedule," said an Air Force official. On March 24, Gen. Christopher Bogdan, who oversees the JSF program, said in a written testimony to the U.S. House Armed Services subcommittee on tactical air and land forces that the F-35 would not get its combat capability package until late 2017, putting the long-delayed aircraft another four months behind schedule. The reason for the most recent delay is software testing issues on the newer 3F software, especially the knock-on-effect of past delays on older versions of the software. According to Michael Gilmore, the Pentagon's chief weapons tester, the JSF program will be delayed for one year due to several technical shortfalls, including problems with radar software. Recently, Pentagon evaluators cited major problems with the F-35's software, both on the ground and aboard the aircraft. For instance, maintenance software designed to diagnose problems fail to detect the difference between healthy parts and defective ones. Also a communication problem between the F-35's radar computer and its central computer cause the radar to switch off roughly every four hours of flight time. That requires pilots to reboot it. Earlier in March, the Pentagon forecast a 3 percent drop in acquisition costs for the F-35. But it said plans to use the jets for six more years would add about $45 billion to the projected operating costs through 2070. The Defense Department's annual report on major weapons programs forecast the total cost of the stealth fighter jet program would reach $1.5 trillion by 2070 including development and procurement, as well as operating costs and inflation. That was up from the previous estimate in 2014 of $1.41 trillion. Turkey plans to buy 100 F-35s. Meanwhile, Ankara is thriving to go ahead with its indigenous fighter aircraft program, dubbed TFX, which will require an initial investment of $6-7 billion. Turkey's military and defense officials are in pre-contract negotiations with U.K.-based BAE Systems for the ambitious program. Turkey hopes to finish the fighter's prototype by 2023. By 2019, 80 percent of design, electrical and electronic components, flight, warfare and communications systems and manufacturing plans will have been completed. "The Turkish plan is a little bit too optimistic," said one international aerospace expert. "There surely will be numerous anticipated and unanticipated technical glitches along the path. I think the Turks should better devise contingency plans for major delays in this program, beyond what they calculate today." "We want this program to proceed flawlessly. We cannot afford to face operational weaknesses due to an aging fleet [of F-16s] and delays in two major fighter programs," said the Air Force general.